Nicole Doyle slides safely into second base during the Spartans’ game against Emory University. Starting an article with the opening line from “A Tale of Two Cities” is a cliché. However, it was assuredly “best of times and the worst of times” for the Case Western Reserve University softball team this past weekend. The team split a four game home series against then-No. 23 Emory University, winning exclusively on walkoff hits and losing by combined 19 runs. The Spartans now have a 9-7 record with a 2-2 mark in University Athletic Association (UAA) play. Head Coach Josie Henry was definitely pleased with the results. To start off the four game set, the Spartans rallied from three runs down to win in extra innings 9-8. 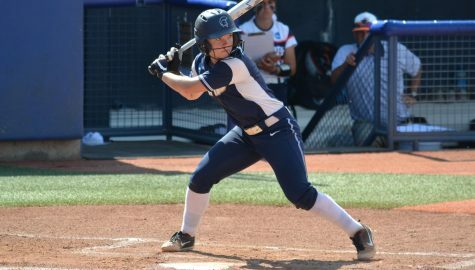 Third-year second baseman Maren Waldner delivered a clutch run scoring infield single in the eighth inning, scoring second-year shortstop Nicole Doyle. 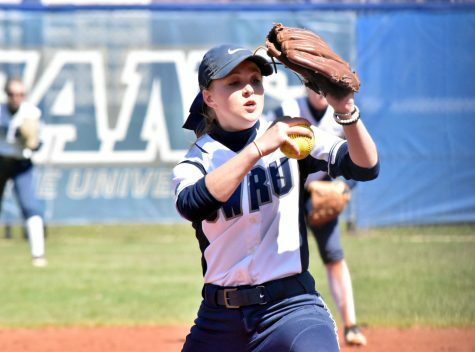 The wild game started well for CWRU, as the team scored two runs in the bottom of the first inning. 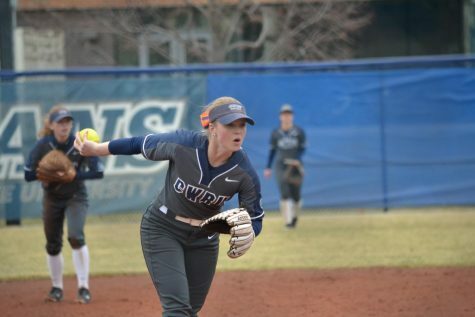 Waldner and fourth-year pitcher and outfielder Annie Wennerberg supplied bases loaded RBIs. The Eagles did well to neutralize the threat after that, keeping the bags full and not allowing any more runs. They responded with three runs in the ensuing inning, all on a home run off of Wennerberg. 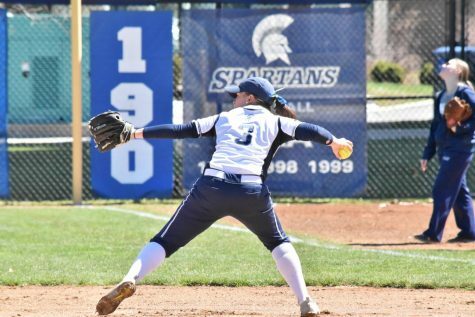 In her three appearances against Emory, the Spartans ace surrendered six home runs, including three in the first game. Henry said Emory’s home run hitters were ready for Wennerberg’s pitching style. All was not lost, as the Spartans retook the lead in the bottom half of the inning, scoring two runs on a wild pitch and an error. They tacked another run on in the third to lead 5-3. An Emory solo home run and a grand slam gave the Eagles a three run lead in the fifth. The score would remain 8-5 until CWRU was down to their final three outs. After Doyle and third-year first baseman Grace Tritchler both walked, Waldner knocked a double to right center to trim the deficit to two. Following a Wennerberg walk, first-year pitcher Nicole Carty loaded the bases with a single that drove in a run. Waldner scored on a groundout from first-year catcher and third baseman Melissa Cuellar to tie the game. Wennerberg quickly produced three outs in the top half of the extra frame. Then, the Spartans rallied. Tritchler doubled following a Doyle walk to put runners on second and third with only one out. Waldner, the very next batter, hit a dribbler back to the pitcher that took just enough time to allow the speedy Doyle to score, ending the game in dramatic fashion. Henry said the team showed “resiliency and competitiveness” with the comeback victory. “I think they did a really good job never giving up. It’s such a supportive environment [and] that really breeds success,” she added. With the first game almost taking three hours, the Spartans and Eagles were unsure about whether there would be enough time to complete the second half of the doubleheader before daylight disappeared. After four scoreless innings, Emory put five runs on the board in the fifth against three CWRU pitchers. The long inning led to a lengthy discussion involving Henry and the umpires which ultimately resulted in play being halted. 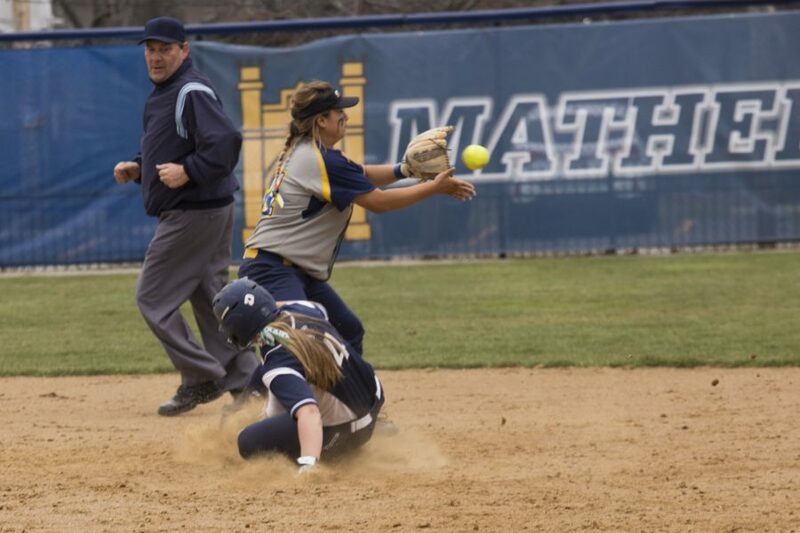 The game resumed the following day before the scheduled doubleheader, with CWRU falling 7-0. The next game was also a blowout, with the Spartans losing 15-3. Tritchler and Doyle each had run scoring singles for CWRU and Carty also contributed a groundout that scored a run. 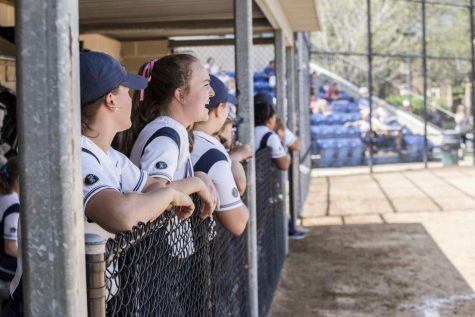 Six of Emory’s runs were unearned as the Spartans committed six errors in the game, the most since they committed eight in a win over Bethany College on April 1, 2012. Defensive struggles have been a problem all season for the team, with 32 defensive miscues in just 16 games. However, one standout in the field in third-year center fielder Katie Wede. Known by teammates as the “Ninja Warrior” because of her double black belt, the outfielder has shown terrific range all season. One memorable play occurred in the sixth inning of the third game. With two outs and the bases loaded, Wede took away a surefire base hit on a short fly ball. She charged from center, dived and rolled over once, hanging onto the ball the entire time. The Emory coaches and fans couldn’t believe their eyes. 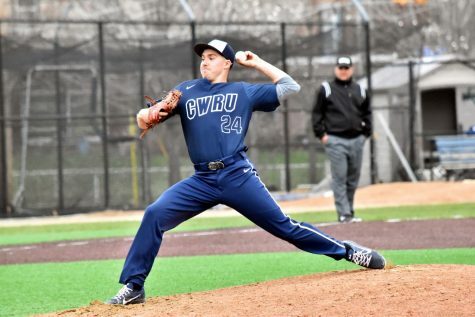 In the final game of the series, CWRU played much better defensively and once again clawed their way out of an early deficit to win on a walk-off hit. An Emory three run home run in the first inning gave the Eagles the early lead. Two innings later, CWRU responded when Tritchler knocked in Doyle with a single. The Eagles would restore their three run lead in the fourth, but the Spartans responded, tying the game in the bottom of the fifth. After Tritchler again brought home Doyle with a single, the Spartans executed a perfect double steal to cut the deficit to one. Tritchler stole second, drawing a throw from the Emory catcher. The throw gave Waldner, who was on third, an opportunity to score. She took it, and the Emory throw back to the plate was too late. Tritchler eventually scored the tying run on a wild pitch, showcasing more aggressiveness on the basepaths. Henry explained the aggressiveness was a key part of the team’s style. “When you’re willing to take some risks and it pays off that definitely plays into why we won both of those games,” she said. Heading into the bottom of the seventh, the score was still tied at 4. It took only one pitch for that to change as Wennerberg blasted an opposite-field home run to send Spartans fans home happy. The team continues UAA play and travels to Brandeis University for a four game series on March 31 and April 1. First pitch is scheduled for 3 p.m. on Friday and noon on Saturday with the second game each day starting 30 minutes after the first one ends.